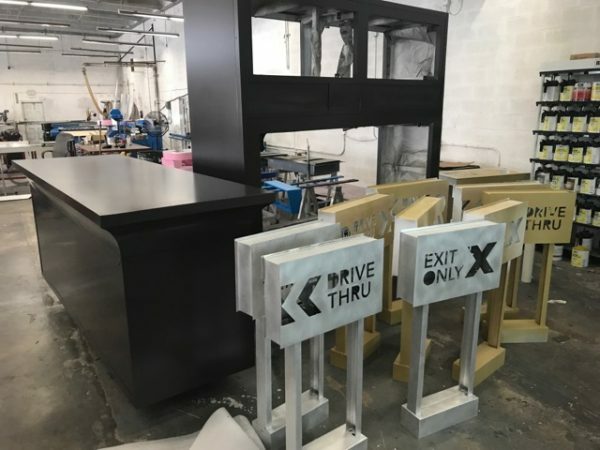 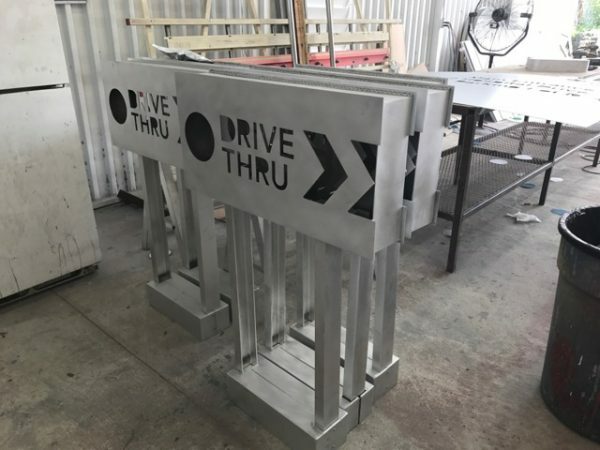 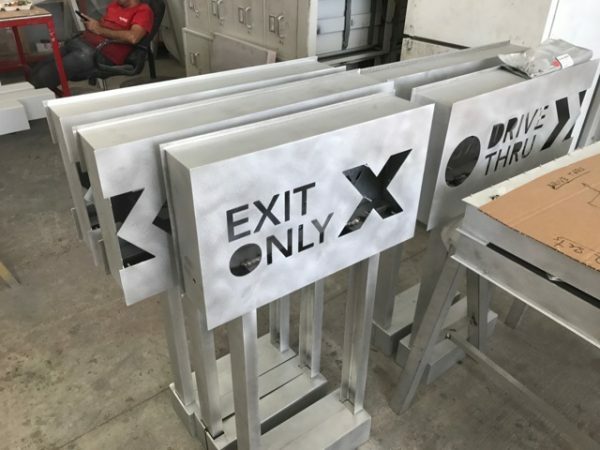 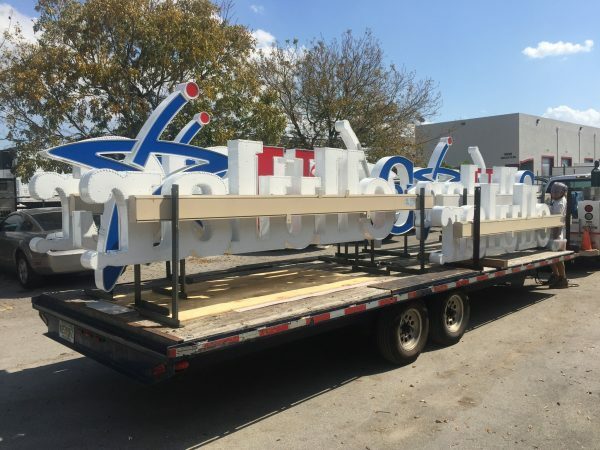 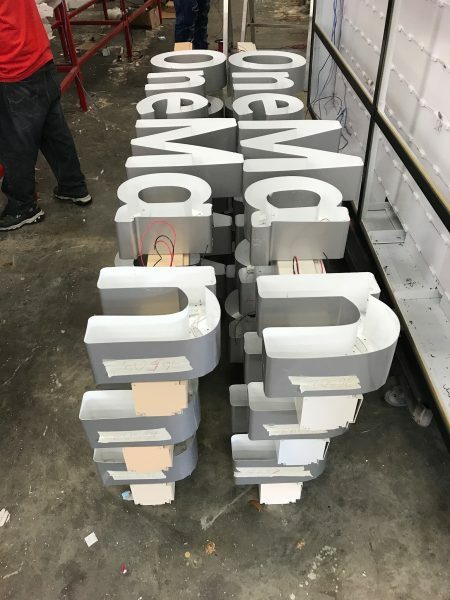 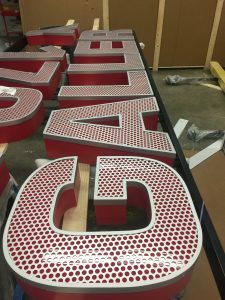 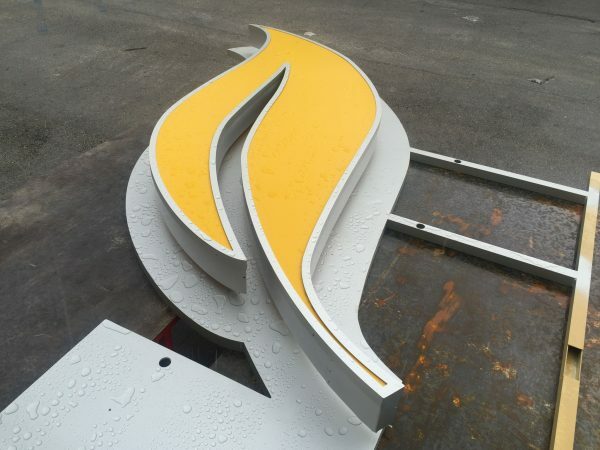 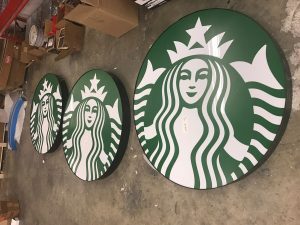 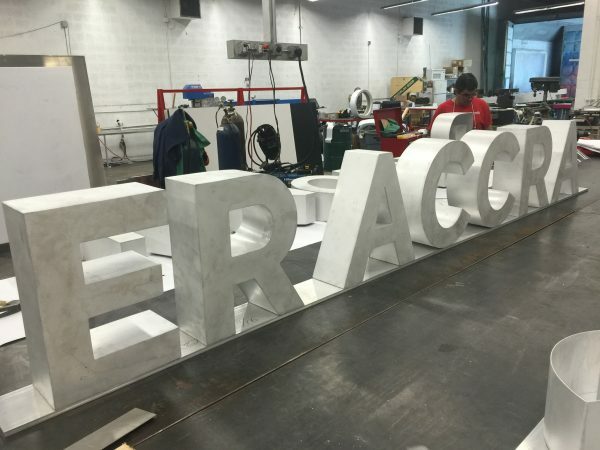 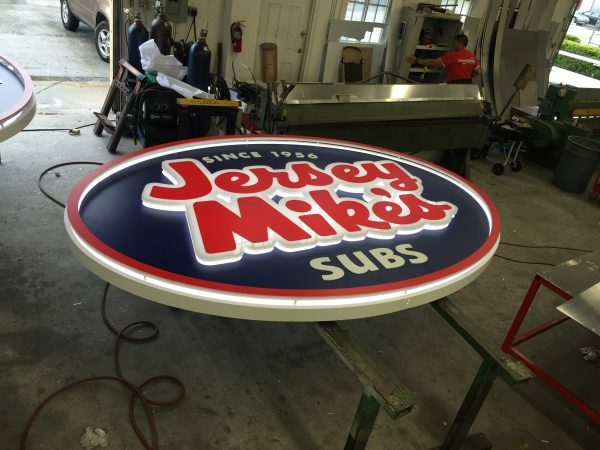 Standard & Custom Cabinets: EconoChannel’s Metal Department specializes in aluminum extruded cabinets, custom sheet metal cabinets, routed face cabinets, monument signs, and pylon signs. 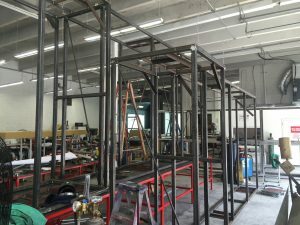 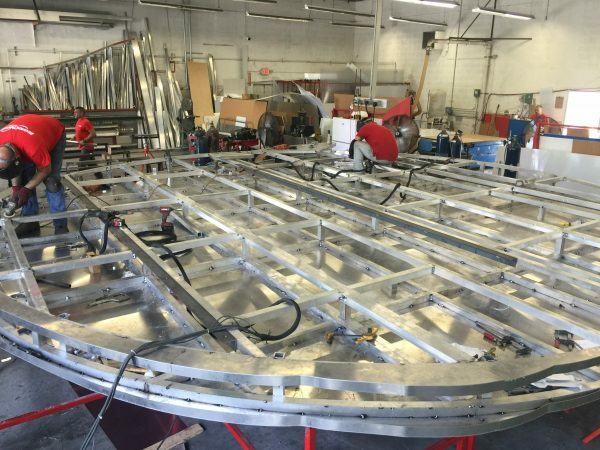 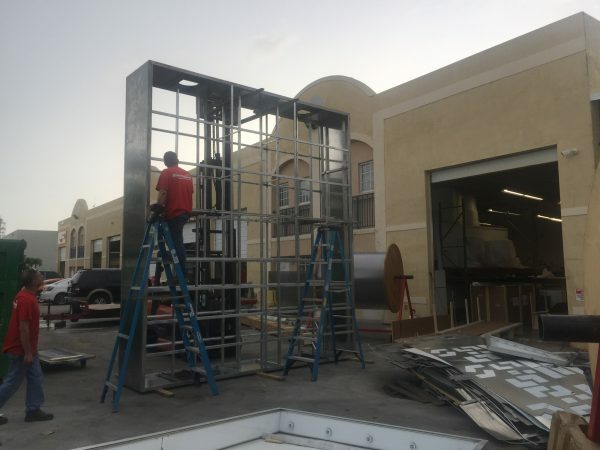 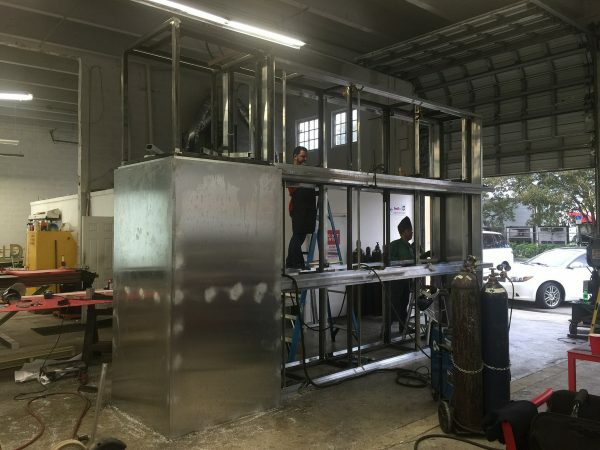 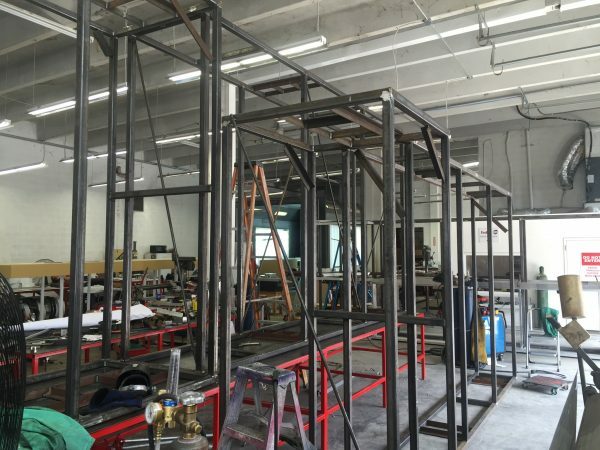 Our welders and metal workers have the expertise and knowledge to construct complex, custom designed projects. 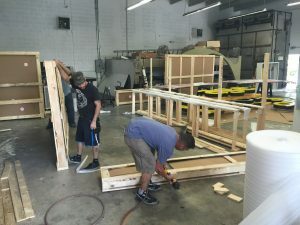 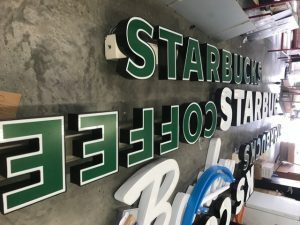 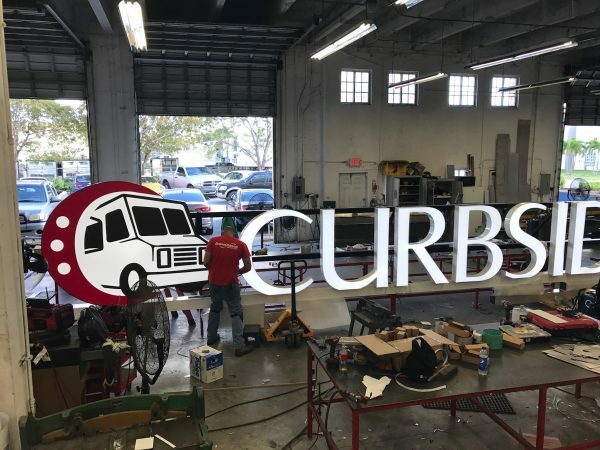 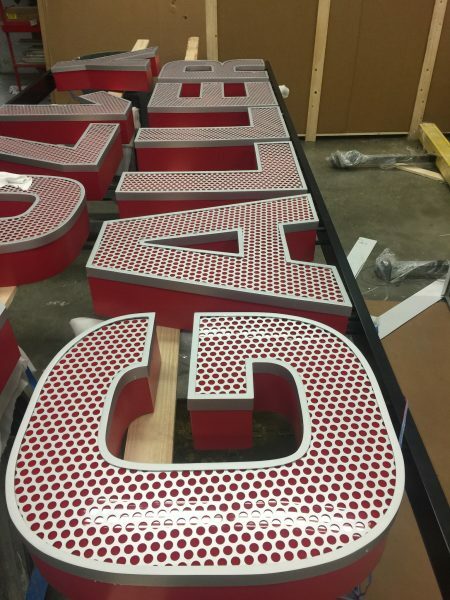 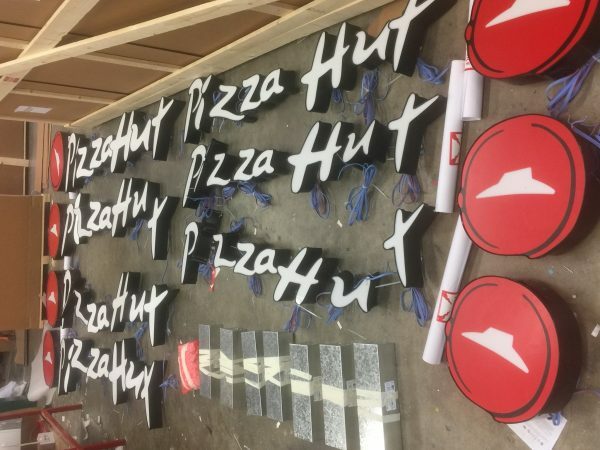 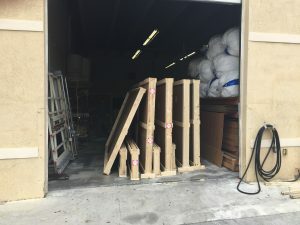 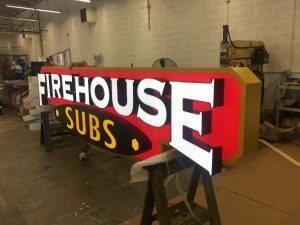 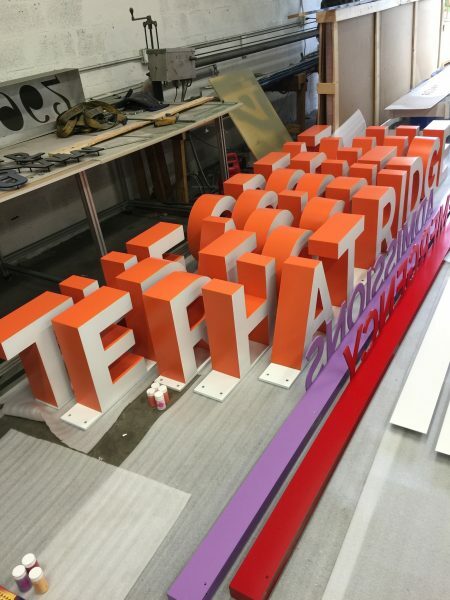 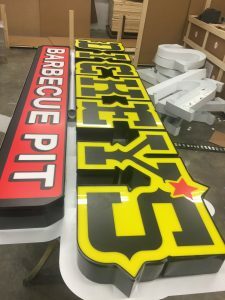 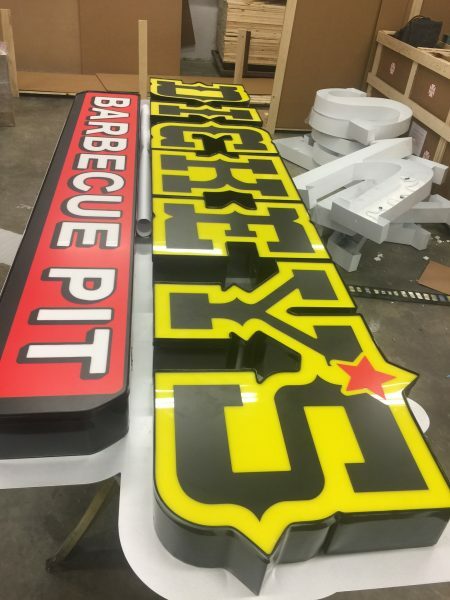 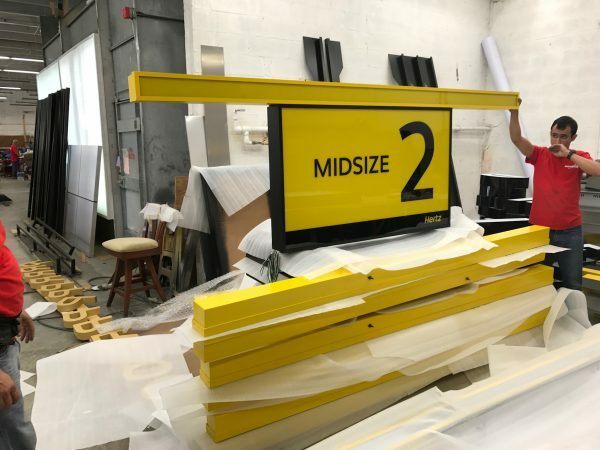 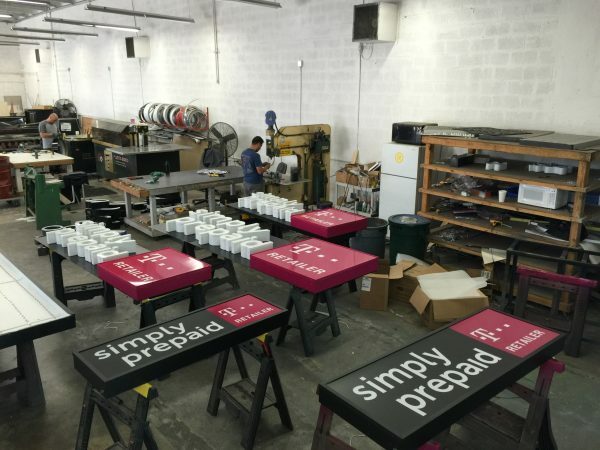 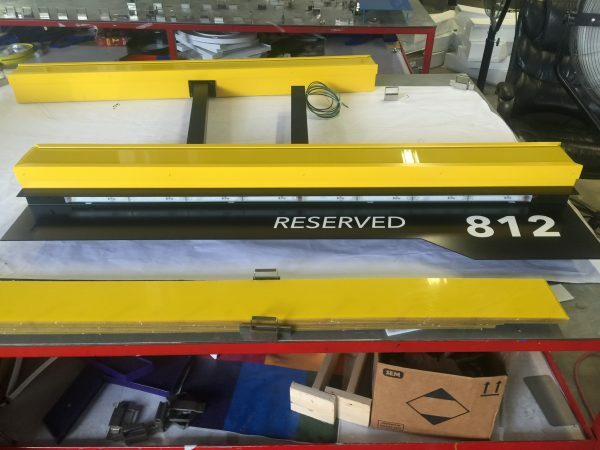 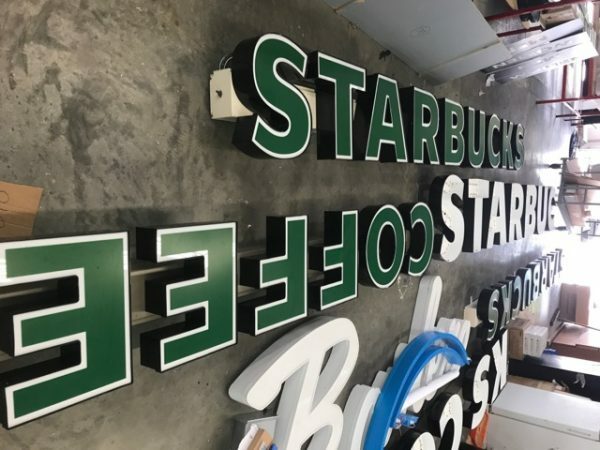 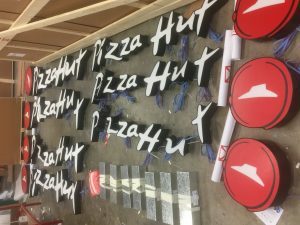 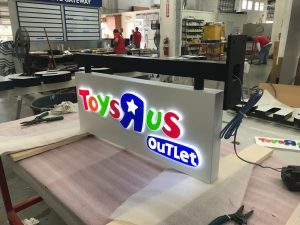 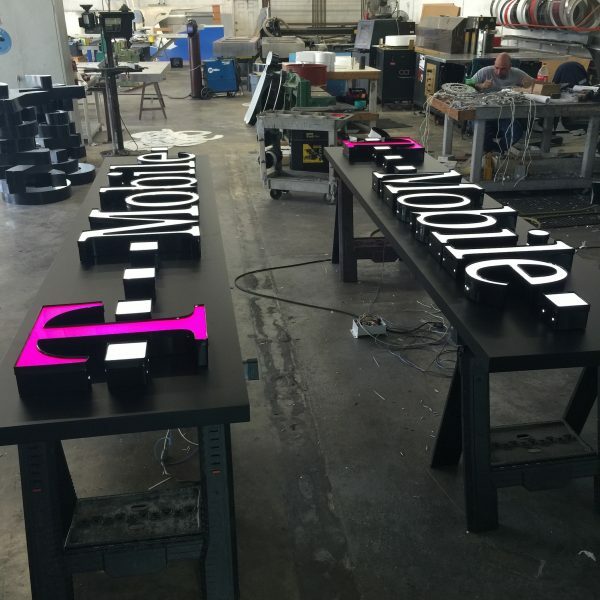 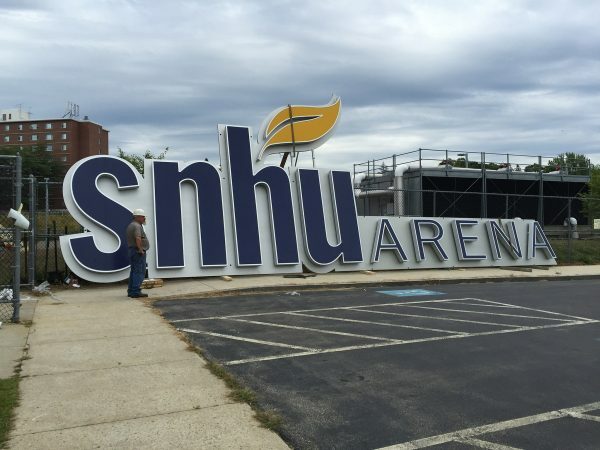 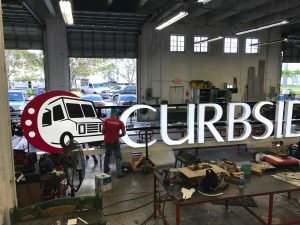 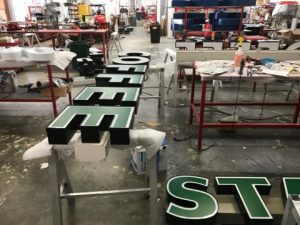 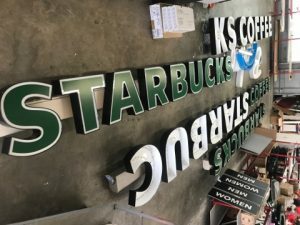 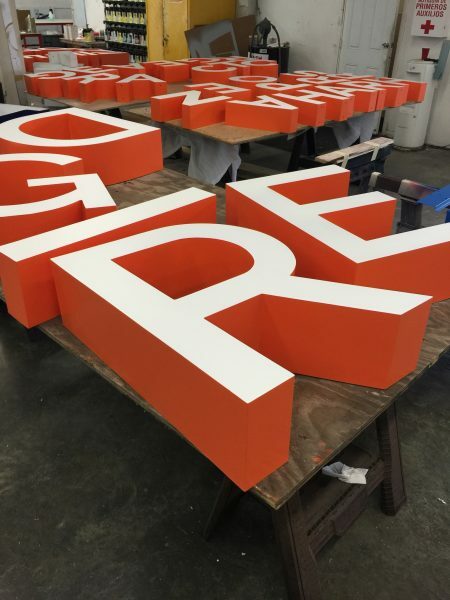 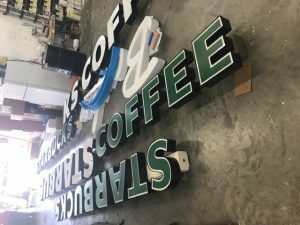 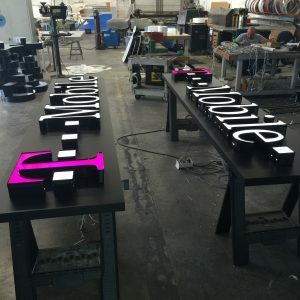 This department is designed to turnaround signs efficiently by utilizing assembly line production techniques. 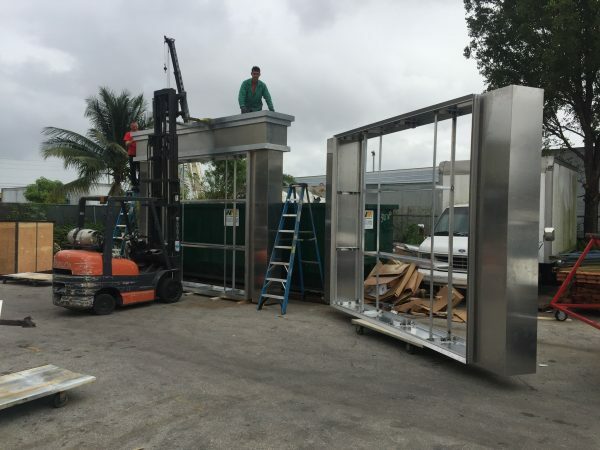 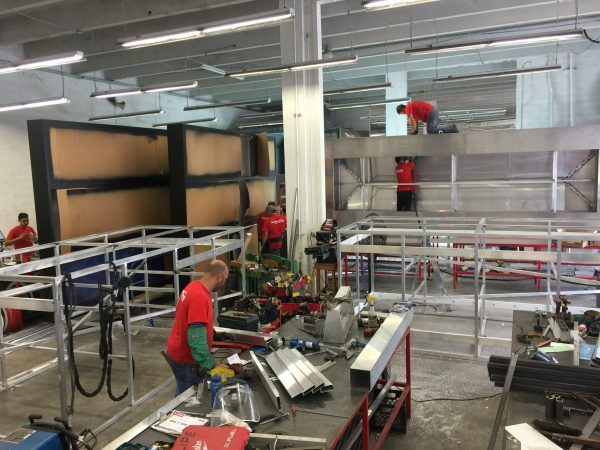 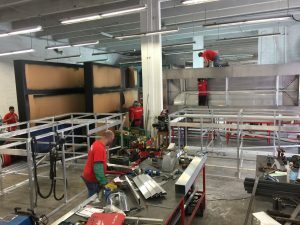 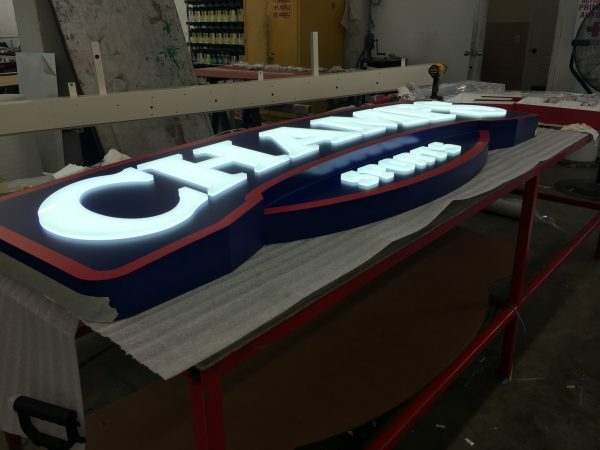 EconoChannel’s Rapid Service can produce standard cabinets with a turnaround time as fast as Next Day, which is a speed unparalleled in the industry. 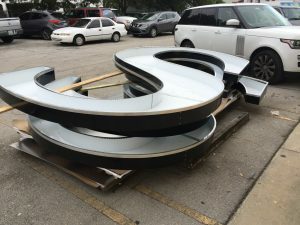 Channel Letters: EconoChannel utilizes both skilled craftsmen and automated equipment in the production of our channel letters. Uniting modern technology with the seasoned talents of our craftsmen keeps the operation flowing at maximum efficiency, no matter the complexity of the project. 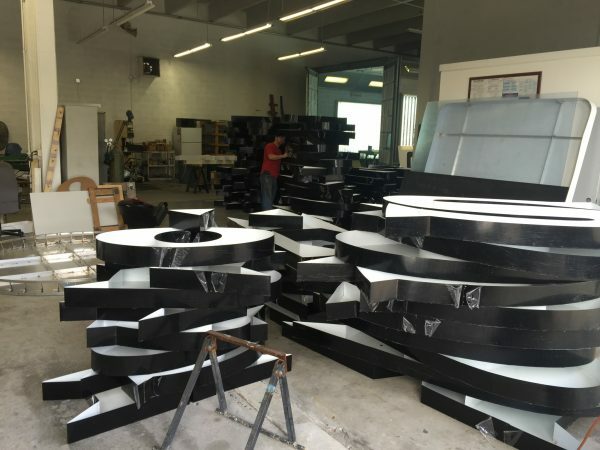 We have organized our production process to flow seamlessly by systematizing all departments. 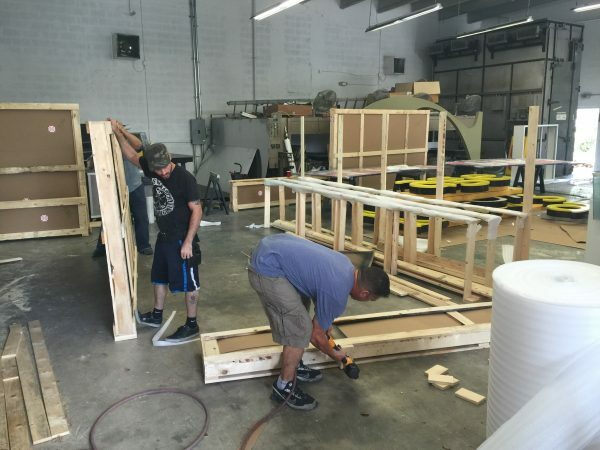 Our alternating shifts minimize production downtime, which is critical for a mass production facility.